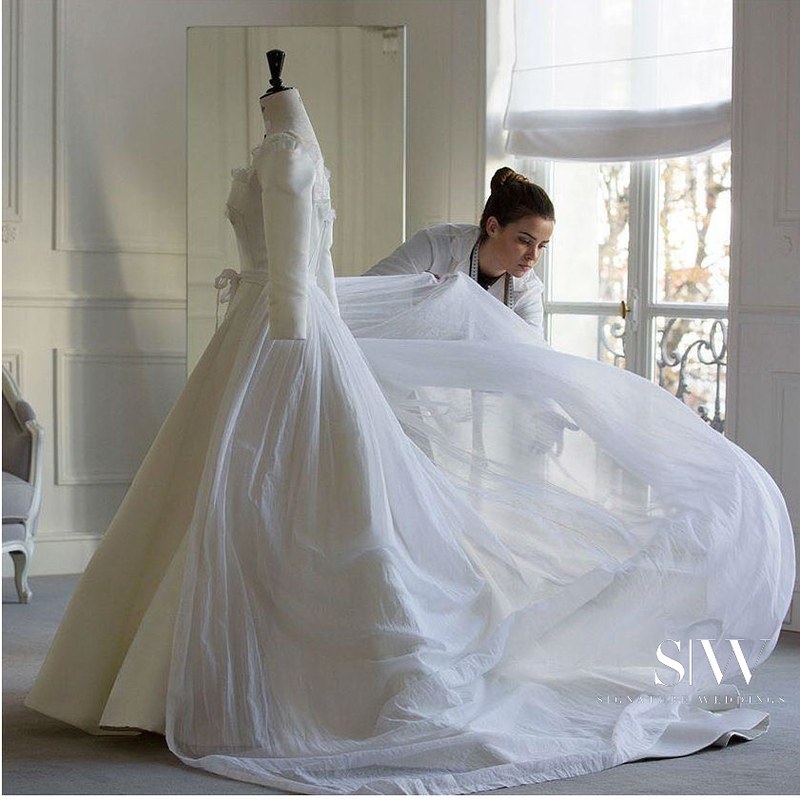 If you ever wondered why the Song-Song couple looked amazingly stunning in their closed-door wedding ceremony—which made headlines last week around the world, it was because the haute couture fashion house, Christian Dior, was in-charge of designing the bride and groom’s outfits; and they just released some behind-the-scene photos of the making of Song Hye Kyo’s wedding dress. 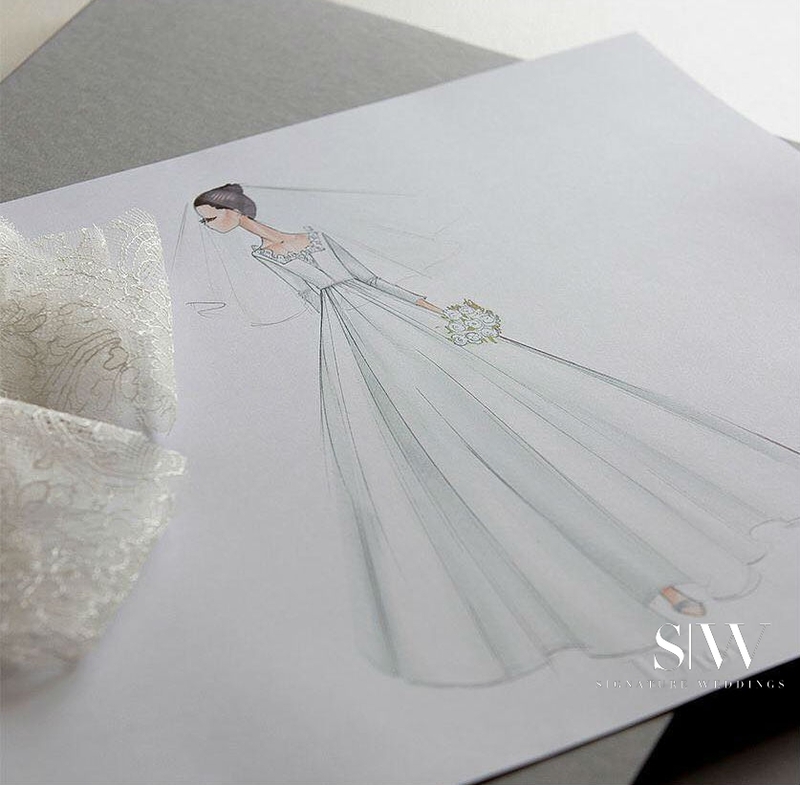 The first of three pictures posted by Dior on their Instagram page showed a sketch of the wedding dress that was to be worn by the Korean superstar. Not everyone can boast of having their wedding dress designed exclusively by Dior’s Artistic Director, Maria Grazia Chiuri, unless you’re Song Hye Kyo. The dress was “sigh-inducing” according to Dior. 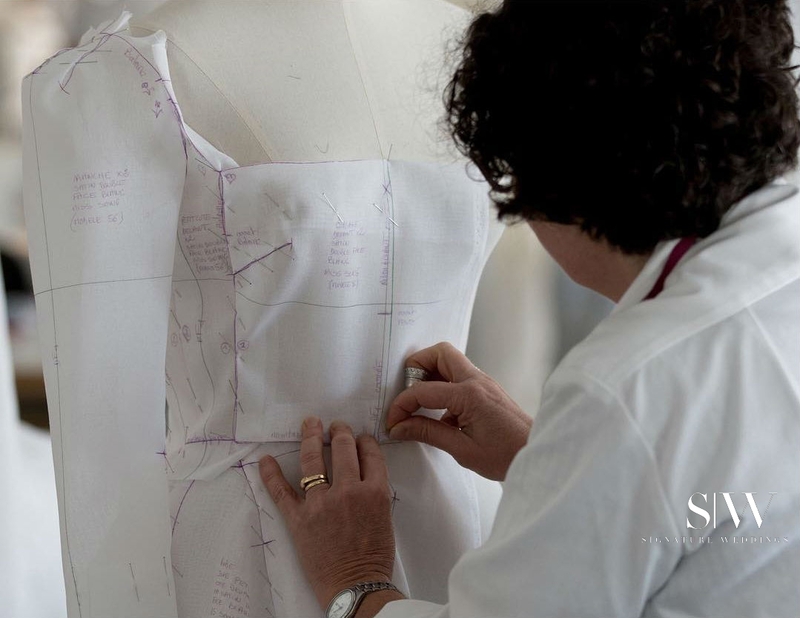 The second picture showed one of Dior’s petite mains, or little hands (seamstresses), working diligently on the stitching and fitting of the dress. According to Dior, these little hands work tirelessly and endless hours to get the dress to perfection. In the last picture, the dress in its final stage is seen with its beautiful and stunning silky flow to be worn perfectly by only one special person. Dior’s caption, “If you can imagine it, they can make it,” tells of how the petite mains, under the direction and design of Maria Chiuri, are able to create stunning real dresses out of the dreams of each bride. This wedding dress was originally a black velvet creation from the brand’s fall/winter collection. In their expertise, the brand took the concept and made it into a wedding gown fit for a Korean dream wedding, and presented it as a gift to Song Hye Kyo. The groom himself wore a suit from the Dior Homme menswear collection. And now you know why these Korean sweethearts looked like perfection on their wedding day. 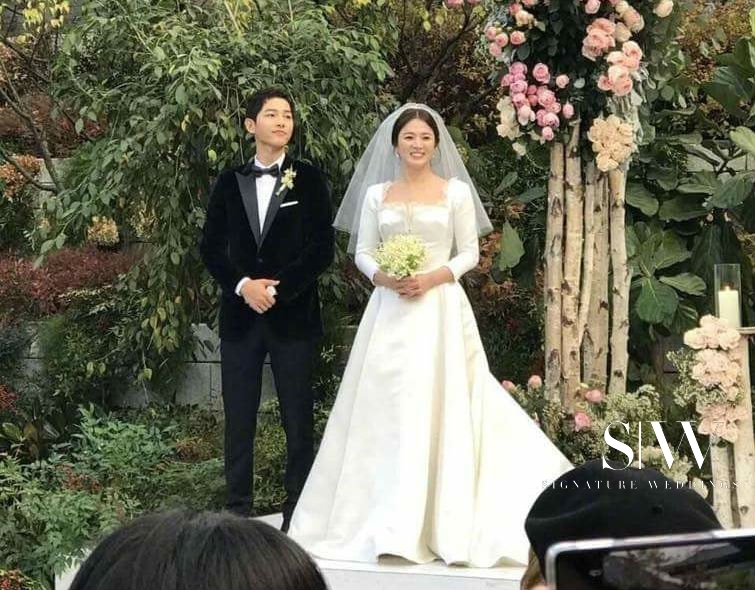 More about Song Hye Kyo’s stunning wedding celebration.